It has been three excruciatingly long years since the release of US speed metallers Spellcaster‘s seminal debut album “Under the Spell”. The abrasive yet melodious fierceness in the guitar and vocal work on “Under the Spell” immediately cemented the band’s position in underground heavy metal stardom, so much so that many people, including myself, proclaimed the album as being one of 2011’s best. It would therefore be a challenging task for any band to uphold that kind of praise with the release of a new album, especially when new material hasn’t been publicly released in a few years. 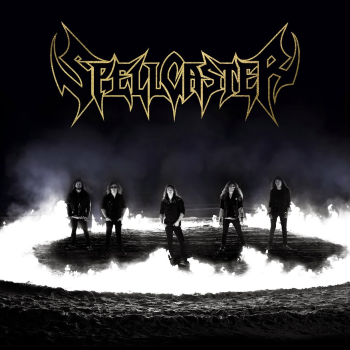 In 2014, Spellcaster have surely come a long way to reintroduce themselves to the heavy metal world. Complications with record labels and lineup changes have unfortunately delayed the band’s true recording and performing potential, even though they consistently remained active and fairly popular within the Oregon heavy metal scene. 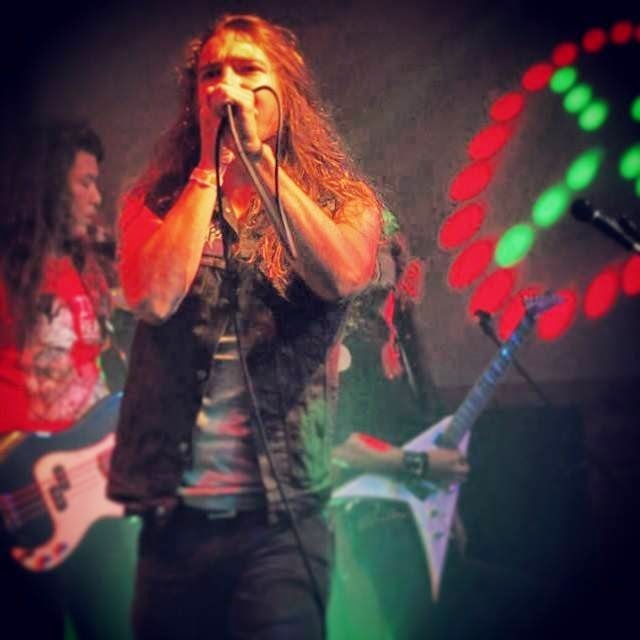 Speaking of lineup changes, the most noticeable change on the new record would definitely have to be former guitarist Tyler Loney’s decision to take on the role of lead vocalist; a decision that inevitably led to the revision and expansion of Spellcaster‘s already impressive repertoire. With that being said, this very modification was actually able to take advantage of each members’ talent, as Loney’s mid-ranged and melodious vocal style enabled Spellcaster to forge a more mature and definitive sound than what we might have been used to before. As growing musicians, this is a step in the right direction, mainly because it allows for variety to be established within the band’s songwriting processes. All of these characteristics are exactly what Spellcaster have brought forward in their latest album. In comparison with “Under the Spell”, “Spellcaster” is a completely different experience, and a far more meaningful one at that and I can’t stress that enough. 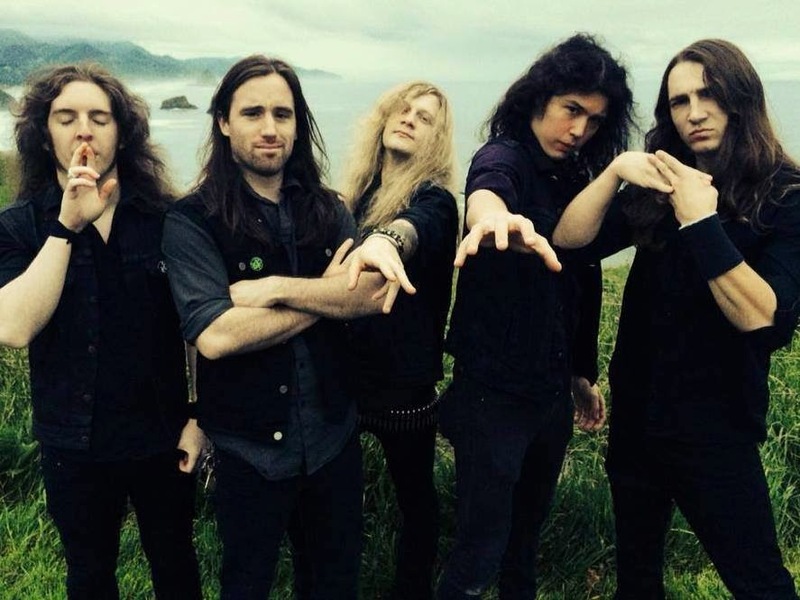 From the dark and mystically-driven lyrics to the intricately harmonious solos featured in almost every track, the guys at Spellcaster have surely outdone themselves in every little detailed speck that comes with playing music. And this is all coming from someone who absolutely praised the work done on “Under the Spell”, so that right there definitely speaks for itself. Take the masterfully written “Voyage” for example: each note is meant to accentuate the melancholic atmosphere of the song, whether it be through the slow (and almost crescendo-based) progression of the intro to the main riff, or the vocal-centered chorus. Not only is it one of the album’s highlights, but it perfectly defines the band’s newly found sound. Other notable tracks include the anthemic “Run Away”, the speed metal powerhouse “Ghost of My Memory”, the overly dark “Clockwork”, and the lead-oriented “Eyes of Black”. All in all, “Spellcaster” is a breath a fresh air for the underground heavy metal scene, as it almost entirely focuses on creating a profound experience for the listener through original and technically robust material, rather than recycling traditional-based riffs that are commonly heard throughout the scene. It goes without question that this is without a doubt one of the best albums in recent years. The men behind Spellcaster deserve every last bit of praise that will surely come their way; they’ve given us an album for the ages!